Applications: 1) Action: non-systemic insecticide and acaricide with contact and stomach action. 2) Uses: a) Control of potato beetles and cotton bollworms ; b) Also controls other sucking, chewing and boring insects and mites on a very wide range of crops; including maize, tobacco, vegetables, fruit (including citrus), vines, olives, ornamentals, cucurbits, tea, coffee, rice, cereals, sorghum, oilseed crops, sugar cane, alfalfa, mushrooms, forestry, glasshouse crops, etc. 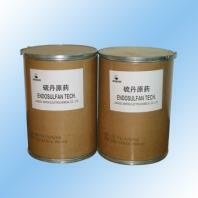 Our company is specialized exporter, manufacturer and supplier of Endosulfan in China.